My life right now is mostly about playing with my kids. 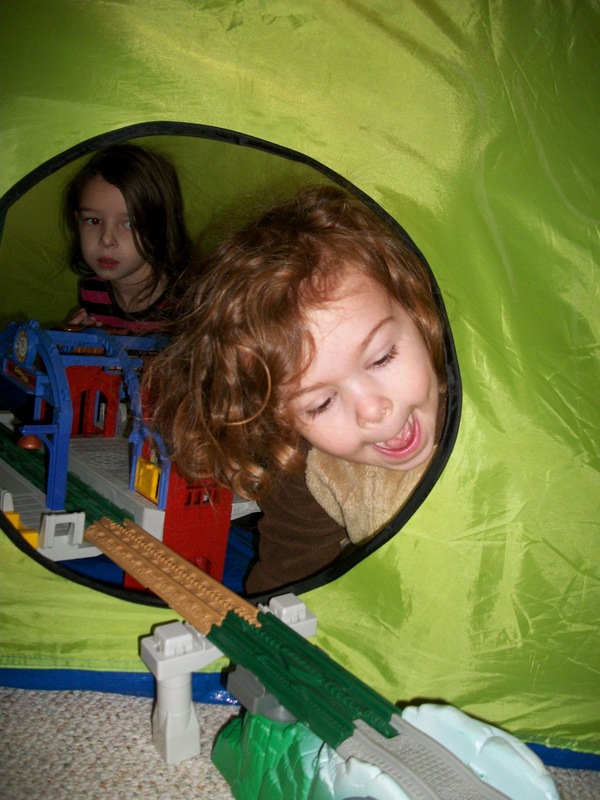 Here is Rebekah in a tent that has a train going through it. Check out the May Challenge over at Paper Coterie. They have the cutest tag books. I made one for my son.